The Elstead Hatteras Bay Extra Large Single Ceiling Light is in an Antique Copper finish with a prismatic glass lens. The Elstead Lighting Hatteras Bay Extra Large Single Ceiling Light Makes A Distinctive Statement With Its Prismatic Lens And Industrial Lighting Style. 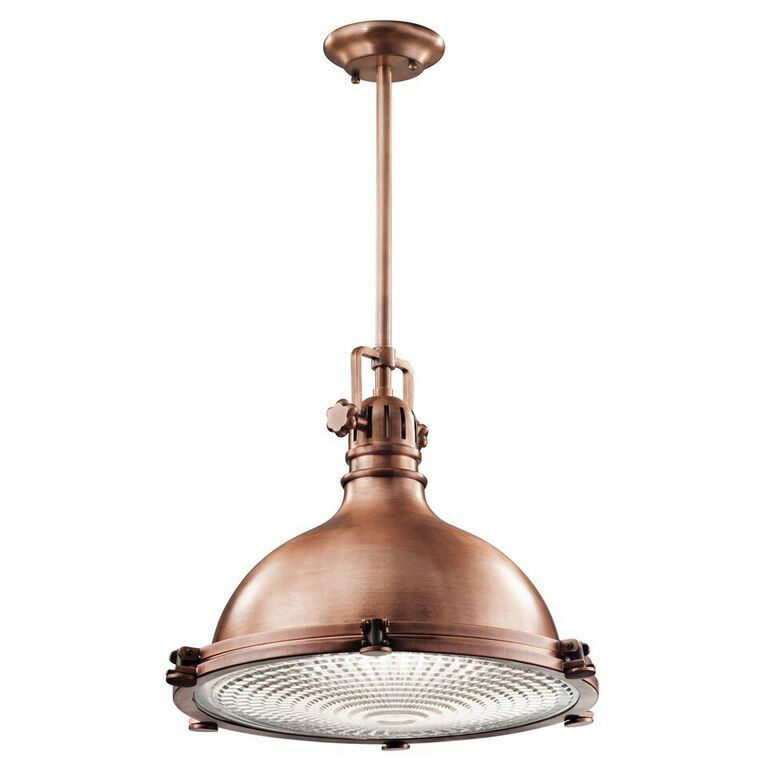 The Hatteras Bay Extra Large Ceiling Light Pendant By Kichler Lighting Is In An Antique Copper Finish. Size: Fitting Height:495mm, Dia:603mm, Overall Drop:573mm-1473mm, Supplied With Two 150mm Rods And Two 300mm Rods.